A relaxing atmosphere in the office can be highly conducive to people being more productive. There’ll always be stress from time to time, but any business that hopes to get the best out of its staff should be helping its employees to unwind and relax when possible. A bit of greenery is often just what’s needed to transform any drab interior into a far more wholesome and relaxing space. Too often, businesses invest in flashy design and modern furniture to spruce up the office, when actually it is a few ferns and potted plants that could really help it to shine. Hanging plants can also be a great way to inject some colour and verve into any space, with the added benefit that the extra oxygen that’s being produced could help to liven up even the most lethargic of workers. One thing you must remember to do, though, is to water them regularly; green leaves and flowers can be great to perk up people’s spirits, but wilting brown blossoms do anything but. Turning down the volume in a busy office is not always easy, with the incessant clack of keyboards, people talking, phones ringing and the occasional burst of background music. 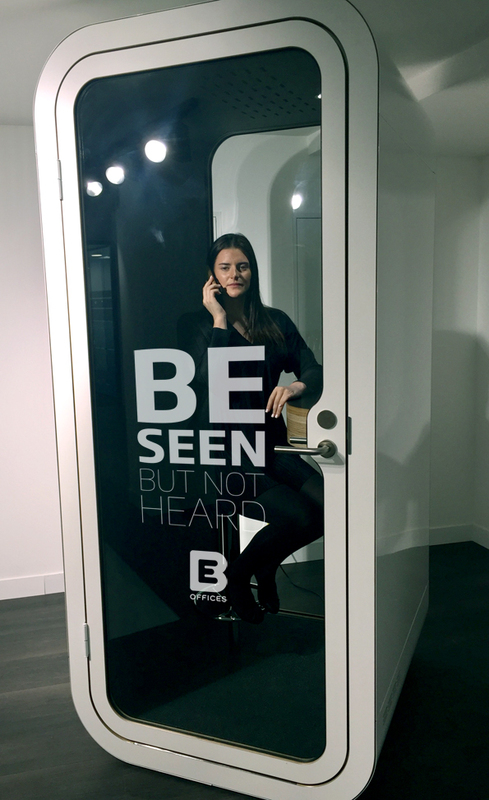 However, installing sound-proof pods where people can get away from the distraction of a noisy environment can be a perfect way to help people to focus and relax. This might sound a futuristic option, but there are companies today that specialise in this type of installation and it doesn’t have to break the bank. &Offices parent company, BE Offices, has already installed these at a number of its business centres. Encouraging members of staff to show gratitude to their peers can be a fantastic way to develop and promote a more harmonious and relaxed working environment for all. Businesses run more smoothly when everyone is pulling in the same direction and taking the time to show appreciation for the support of those around you can be a great way to develop a stronger team spirit. Gratitude can come in many forms, from a kind word of appreciation to a round of drinks at the annual Christmas party. What’s important is that the office is a supportive and enjoyable place to be and people feel comfortable showing their appreciation for others. We all spend long hours in the office, so it’s important for everyone to understand the power of the break. A short shift away from the mental rigours of the task at hand can do wonders for people who feel their enthusiasm waning. 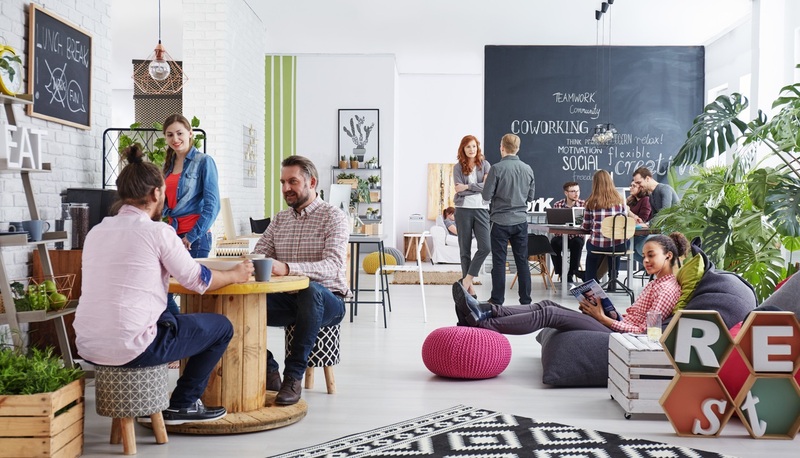 Offices should therefore have a place where team members can escape their work for a few minutes, where people can congregate to make a cup of tea or coffee, or sit down and have a chat or a think about subjects that are not work-related. One final change that can help to transform stuffy offices into more relaxed and productive places is to make your walls as motivational as possible. We’ve all seen the picture of the cat ‘hanging in there’ and it’s perhaps become something of a cliché, but motivational images have evolved over the years and now the use of serene vistas, stunning views and the occasional catchy slogan can be far more chic and modern additions to any relaxed office space than they’ve ever been.